WGN America’s Underground returns for a second season on March 3, 2017. The riveting historical thriller already made an indelible impression in its first outing, balancing a topical discussion with breathless action. Season two will see the Macon 7 on the run, where they’ll meet up with the great Harriet Tubman, whose very existence is a cause for pause. 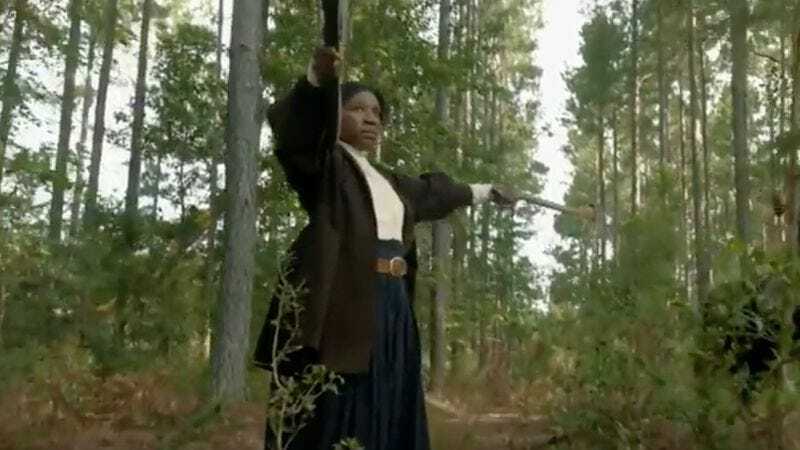 The abolitionist, played by Aisha Hinds, introduces a change in plans in the first season two teaser, which The A.V. Club is premiering exclusively today. A quick scan of the scene also shows the once-shy Rosalee (Jurnee Smollett-Bell) defending herself and Aldis Hodge’s Noah putting together a new plan. There are new threats, including the arrival of the “most notorious slave catcher,” who’s been thwarted by Tubman time and again. Tune in when Underground returns in March for another daring escape.